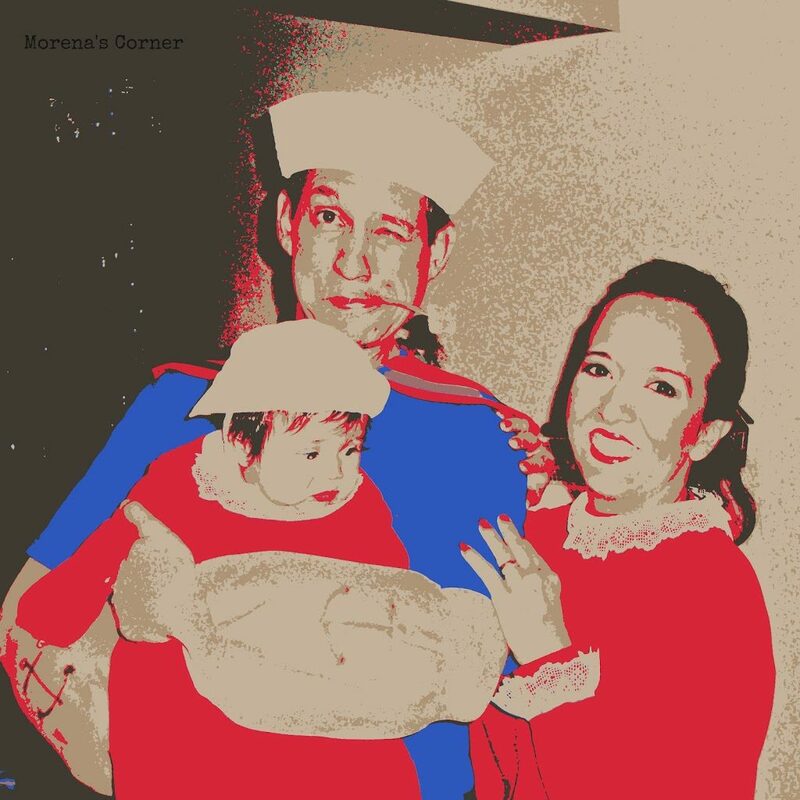 What costume could be more perfect for a couple with a new baby at Halloween? 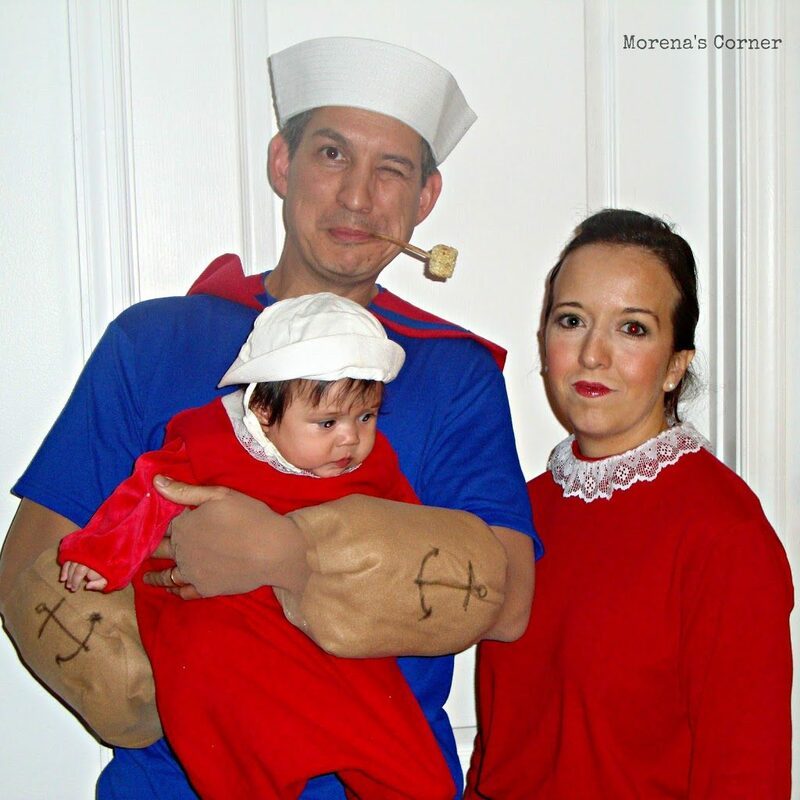 Only Popeye, Olive Oyl, and Swee’ Pea! 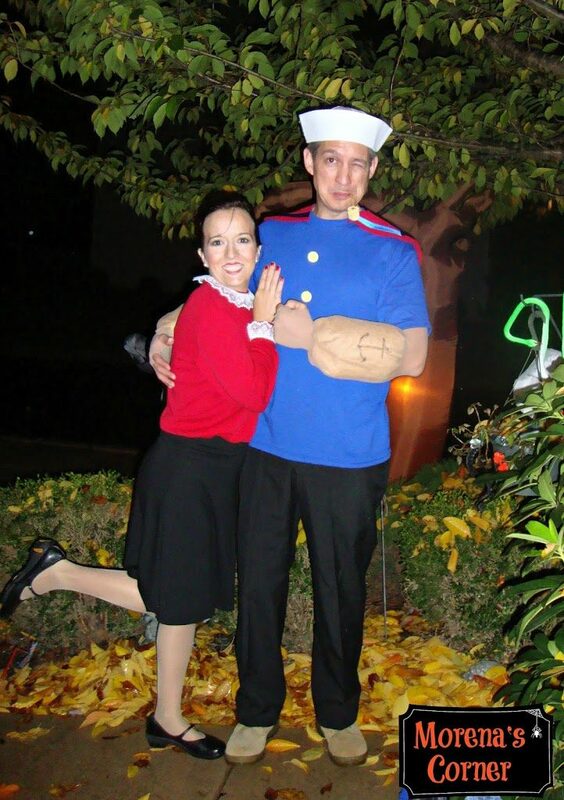 It’s hard to choose because we’ve had so many fun costumes over the years, but THIS is probably my favorite: Popeye and Olive Oyl! 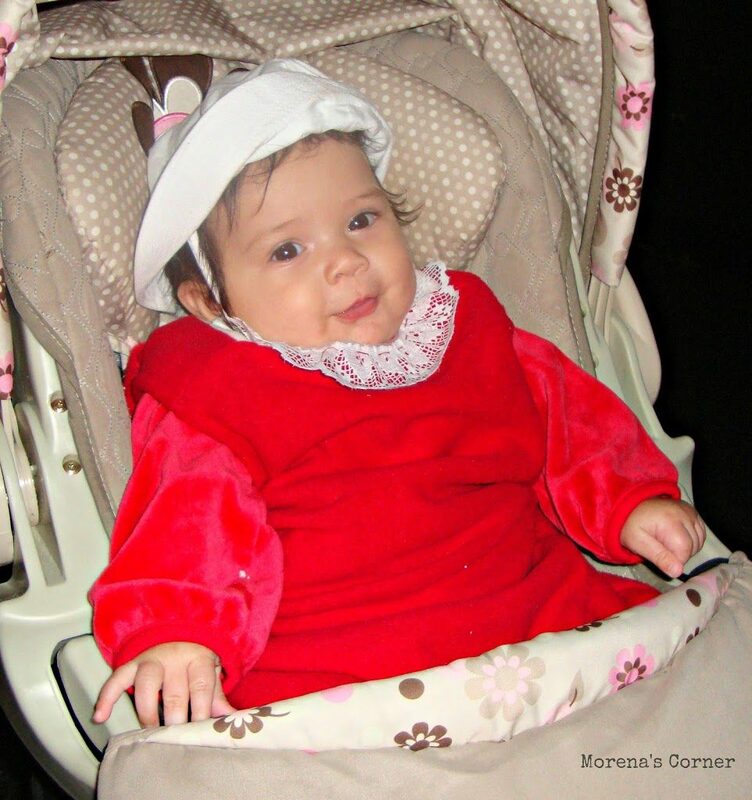 Our baby girl was just 3 months old her first Halloween; our own little Swee’ Pea. Her costume was a Christmas sleep sack worn backwards over a red shirt. I sewed a strip of lace around the collar, and a white sailor cap finished the look. For myself, I found a red long sleeve shirt and a roll of white lace at a thrift store. I stitched the lace around the collar and cuffs. My black skirt completed the costume. 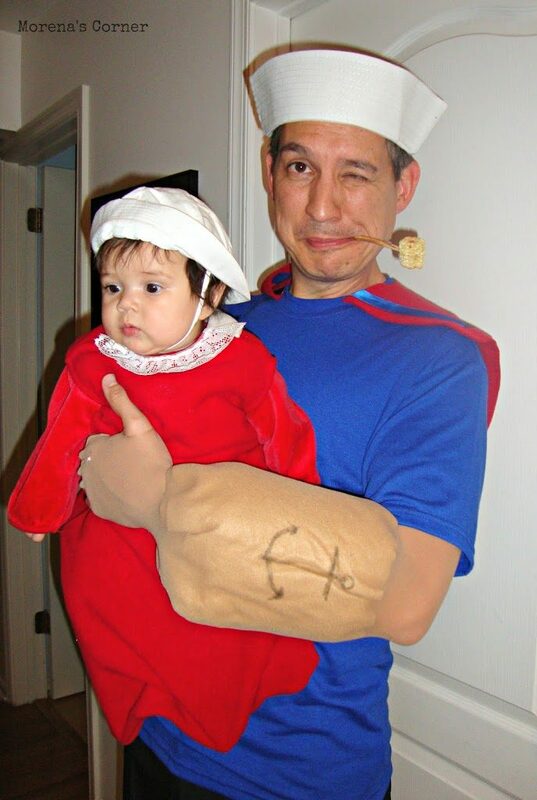 My husband’s Popeye Costume was fun to make. I started with a blue t-shirt. I painted some large buttons yellow and sewed them on. I cut red felt to make the “cape” and hot glued blue ribbon on. Then I sewed it on around the collar. The pants are from his Navy days, and he made the pipe himself from an actual corncob! For the arms, we cut pantyhose to slip over his fingers. We wrapped tan felt around his arm, pulled the hose over the felt, and drew the tattoo on with a sharpie. Another last minute costume made for next to nothing! 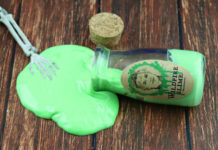 Get creative at Halloween and have fun dressing up without breaking the bank.